Smeatons Tower is an iconic landmark in Plymouth. 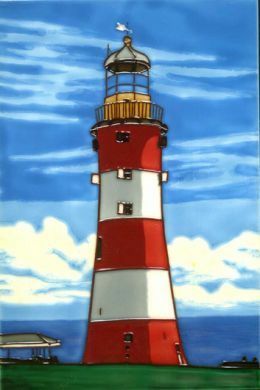 This vibrant tile shows the tower at it best, looking out to sea and with a beautiful blue sky. 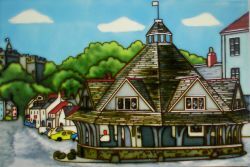 Each tile is hand painted and therefore a unique addition to any home.